Part myth and part morality play, a profound examination of the psychology of guilt and the forces that influence human action, this great supernatural thriller makes the perfect finale to the Halloween season! Want to see the show for free? Sign up to be an usher here! The choice to set Macbeth in Scotland was certainly strategic on Shakespeare's part. James VI of Scotland had inherited the English throne in 1603 when his relative Elizabeth died without a direct heir. The first monarch to rule both countries, James was also thought to be the descendent of the character Banquo from the play. (In reality, Banquo was not a real historical person.) Shakespeare wrote the witches' prophecy about a line of kings stretching out endlessly from Banquo to suggest the stability and longevity of James's rule. Scotland actually serves the play more in terms of geography and atmospherics than history. Scotland had historically been a somewhat desolate and barbaric place in the English imagination, full of wild moors and gloomy coastline. Scotland lacked the kind of large center of power that London provided for England so authority was dispersed. Thanes occupied scattered strongholds across the country, making national defense difficult and infighting common. Scotland's rugged and remote sea borders to the north made it vulnerable to invasion, and when Macbeth opens they are at war with Norway. 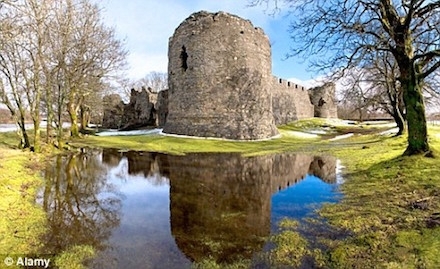 Today, Scotland boasts about 3,000 castles, many of them older than Shakespeare's play. Some of them, steeped in the turbulent Scottish history that Macbeth evokes are mentioned. When you come to the show, see how many references to Scottish places you can catch! The English theatres were closed from 1642-1660, and in the century that followed their reopening, Shakespeare's Macbeth was rarely performed, existing mainly as a much-changed adaptation by William Davenant. Yet by the late eighteenth century, Macbeth was back on the English stage in all its gore and glory and enjoying more productions and acclaim than ever before. The play clearly struck a chord with eighteenth century writers and actors, as well as audiences. Allusions and lines from Macbeth showed up in the work of Godwin, Wordsworth and Baillie, and Sarah Siddons became one of England's most loved actresses playing a ferocious and impassioned Lady Macbeth. What was it about the end of the eighteenth century that brought Macbeth back to prominence? 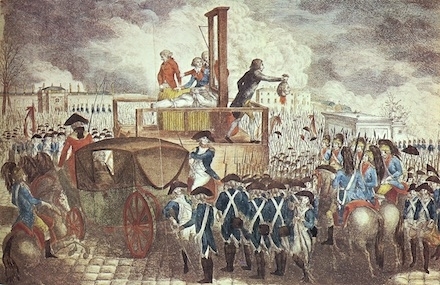 The French Revolution, with its King-killing and its spectacularly bloody aftermath, were shocking and worrisome for much of England. The English had an unpopular leader of their own in Prime Minister William Pitt, and a mad king prone to the kind of inexplicable outbursts that Macbeth demonstrates at the feast table. English playwrights during this period were heavily censored and unable to write directly about politics, so perhaps Macbeth's act of regicide and reign of terror account for why Macbeth became THE play of the revolutionary years — and has enjoyed ongoing attention ever since. 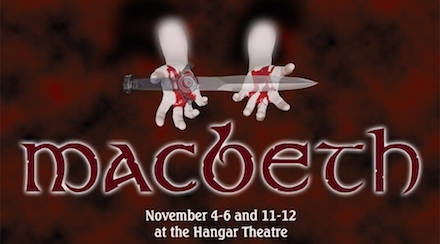 Or call the Hangar box office at 607-273-ARTS (2787).